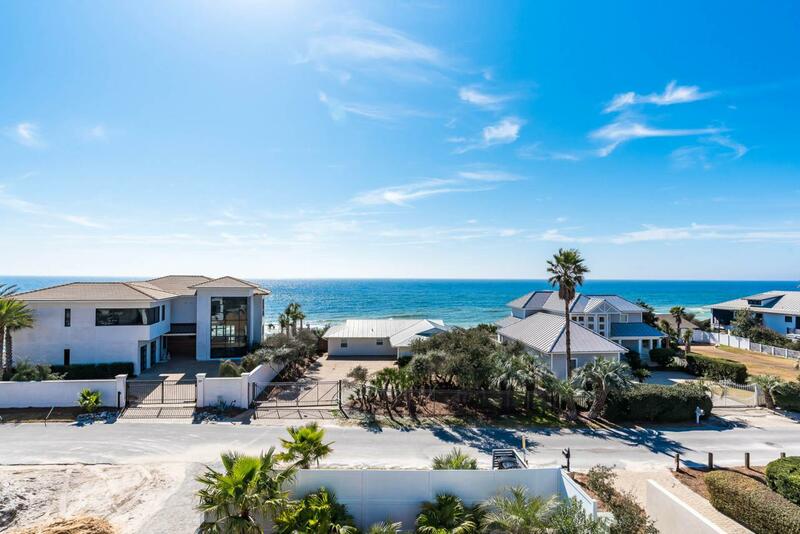 With convenient proximity to Watersound, Rosemary, and Alys Beach, plus the privacy of gated neighborhood access, Pelican Pointe at Camp Creek is ideally situated on the bustling east end of 30A. 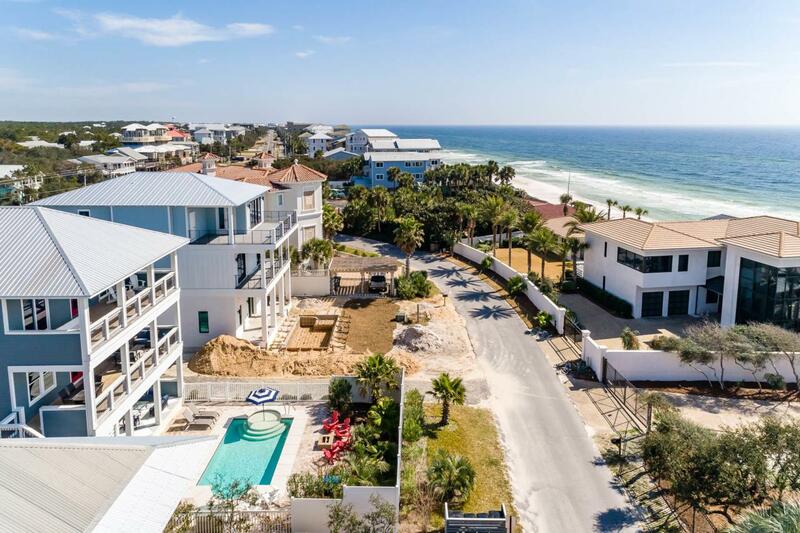 Poised second tier from the Gulf, the residence itself is perfectly designed to be sure your guests will experience the ultimate beach vacation: the exterior features a large, private heated pool and fire pit, community beach access less than 250 steps away, and ample parking. With all these amenities, it's no wonder that the home has an established annual rental income history of $194,000, trending upwards to a projected gross of $270,000 from local rental management companies.When it's time for a break from the sun, use one of the home's two large entertainment rooms to watch a movie, play a game of pool, foosball, or ping pong, or just hang out on one of the home's three large shaded porches and balconies. You'll be wowed by the home's thoughtful design: it sleeps 30 people, while still offering the privacy of five bedrooms with en-suite bathrooms, plus two bunk rooms outfitted with four queen beds each. 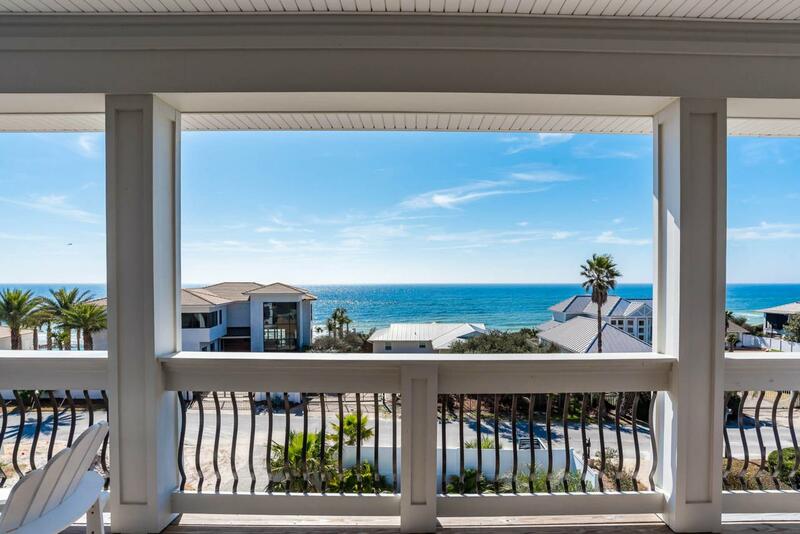 The second-floor kitchen, which offers beautiful views of the Gulf across the street, boasts ample cabinet space, a 36-inch gas range, a large island plus a large dining table, two refrigerators, and two dishwashers, ensuring your guests have plenty of space to stay out of the chef's way. Lovely wood floors, granite kitchen counters and bathroom vanities, and tile shower enclosures offer style and durability. 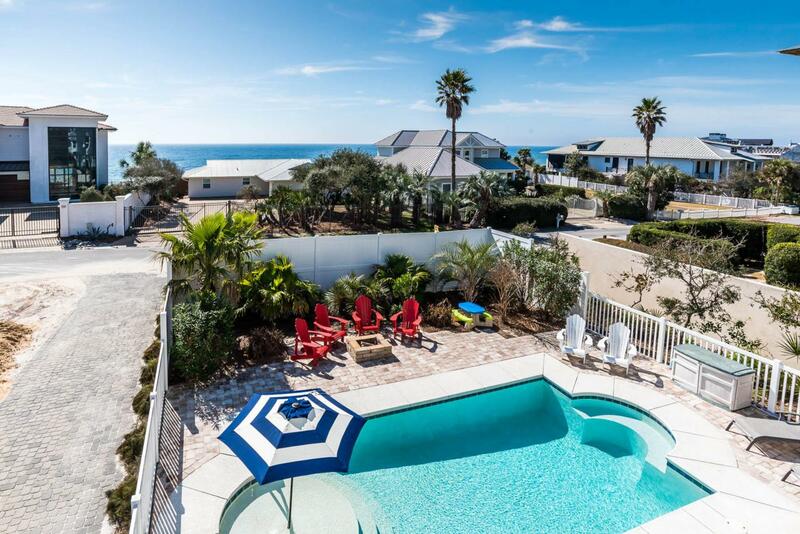 This home is offered fully furnished inside and out, making it a turn-key property that's ready to generate fantastic rental revenue or the perfect place for a private family retreat.